It's been a crazy old few months of full on busy, busy, busy times. But I'm not going to let this little blip knock me back - oh no! I'm not going to let the fact that it is now fast approaching the end of February (how did that happen?!) stop me featuring a little bit of Christmas on these here pages - oh no! As we all know - if not, where actually have you been - the whole world has been taken over recently by photo taking - in particular the whole selfie taking phenomenon. And yes - I do love me a good selfie-taking-session as much as the next person. Around the Christmas period, the whole selfie stick craze seemed to take off. Now I know that it does say Merry Christmas across the middle of it, and if I'm being honest, I will actually save this to use more around next Christmas rather than now - but just look how pretty it is! My phone very easily slotted into the large, square "window" section at the top, and because this has rubber stoppers on it, it held the phone safely in place. As it extended out - to an impressive 97cm at it's maximum length - the camera on my phone was able to get a whole host of scenery and background into the shot - which is just perfect for sight-seeing trips or making sure large groups of people can fit into the one photograph. This particular selfie stick also has it's own little - very useful - remote with it too. The remote is paired to the phone using the Bluetooth option, and once this has connected it is just a case of simply switching it on, activating the phone's camera mode and the image is captured by pressing the button on the remote. It is so easy to use and really handy. I even found that it works with Snapchat too - it allowed me to get a fantastic video of myself and my son whizzing down a hill on a sledge in the snow - it was brilliant. 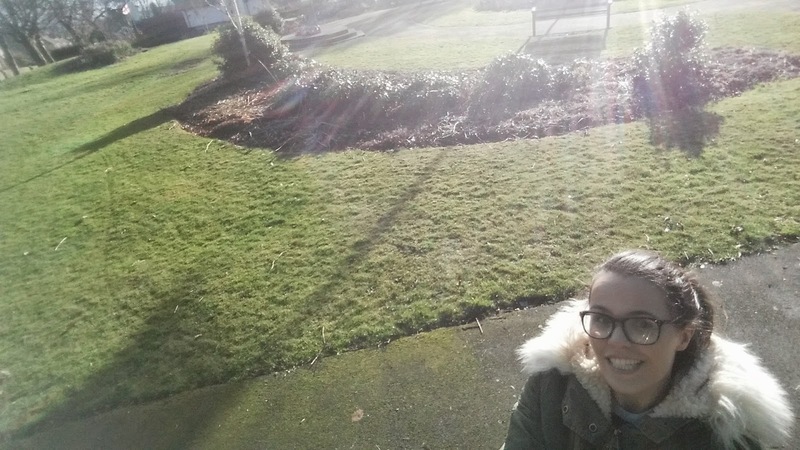 I am certainly a fan of the selfie stick that's for sure. Very fun and very fab - no matter the time of year. I had my first go on a selfie stick a few weeks ago and am very embarrassed to admit that up to that point I hadn't realised you could set a timer on your iPhone camera! I'm so daft!